Posted on 02/24/2016 by Mickey McCarter	in Live Review and tagged Benjamin John Power, Blanck Mass, DC9, electronica, Genesis P-Orridge, industrial, post-rock, Throbbing Gristle. 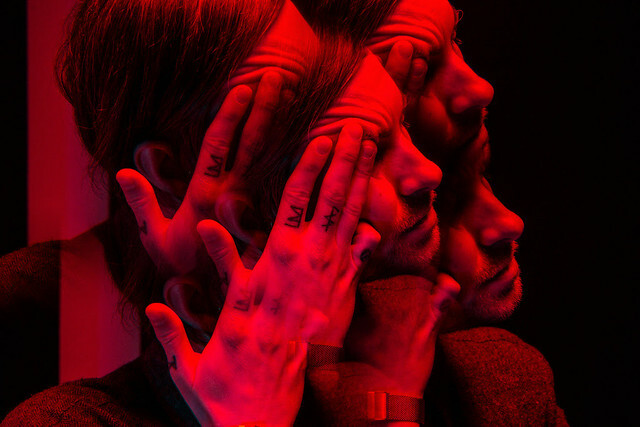 Benjamin John Power of Blanck Mass had a busy year last year! Blanck Mass released a full-length album, Dumb Flesh, in May and followed that up with an EP, The Great Confuso, in November. Blanck Mass originally eyed a U.S. tour in the midst of that but now rescheduled with a stop at DC9 on Tuesday, March 8. The Great Confuso is 33 minutes of non-stop electronic music with the title track running in three parts over 18 minutes. “The Great Confuso” (Pt. I, II & III) features guest vocals from industrial legend Genesis P-Orridge of Throbbing Gristle and Psychic TV. The other three songs on the EP are remixes from Dumb Flesh, including “Dead Format,” “Detritus,” and “No Lite” by Dalhous, Konx-Om-Pax, and Geneses P-Orridge respectively. Resident Advisor hailed Dumb Flesh as “Wagnerian blitzkrieg pop — a flaming meteor, an apocalyptic aftershock, a towering wall of sound.” It sounds to me like something you should hear live! DC noisepunk trio Br’er open for Blanck Mass. Tickets are available online.